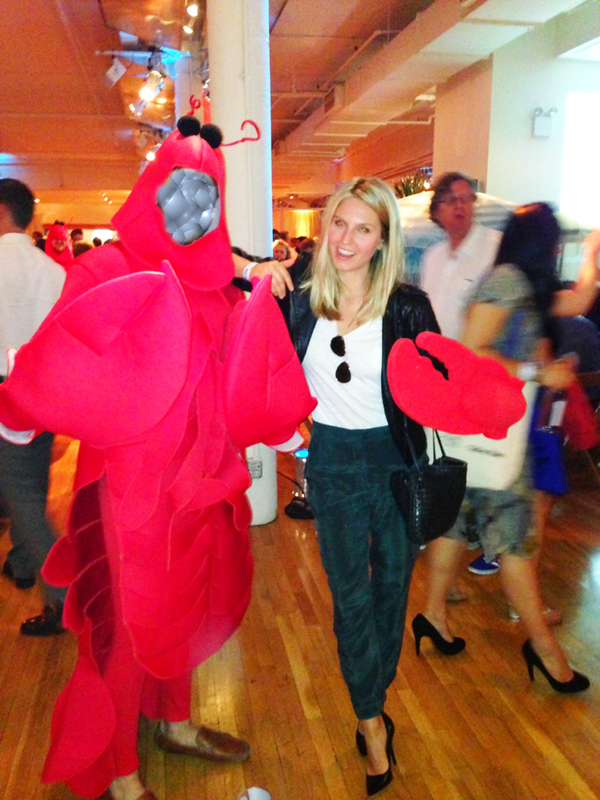 This outfit is from a couple of weeks ago and was worn to attend Tasting Table's annual Lobster Rumble. Lobster rolls are probably in my top 3 favorite foods of all time, so i was VERY excited about this. Anyway, i was in the mood to go real basic with my attire. If you're a long-term reader of this blog (thank you!) then you know that i'm all about simplicity and unfussiness, and if you're a new reader (welcome!) you've now just learnt this. 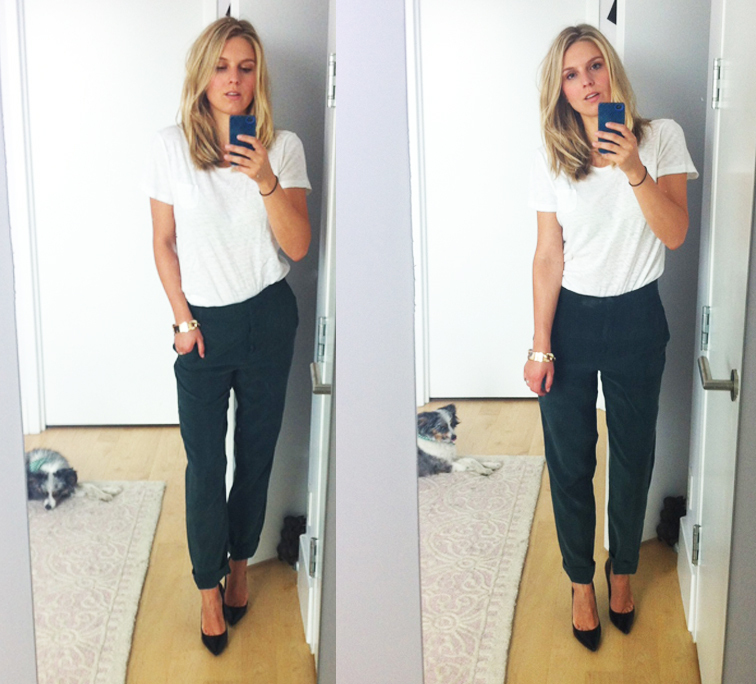 So i basically threw on a plain white tee, some super comfy green silk pants and simple black pointy pumps. That was it and it was the most comfy thing ever to go scarf down the equivalent of my weight in lobster. YUM. Love this easy yet super chic look! You really do do simplicity the best, Helene! I'm toying with the idea of buying this kind of style of pants (Zara have really nice ones) but I'm double minded. You wear them well, just don't think I could suit them!